The Last Word is one of my favorite classic cocktails. What makes it even better is the ease in which you can vary it up by substituting ingredients. This article highlights a few of my favorites. Ok, now that we got that out of the way, lets get into a few variations. Citrus and anise with a hints of cherry on the nose. Another perfectly balanced yet unlikely combination of Rye spice, herbal chartreuse, sweet maraschino and sour lemon juice. The finish is souresque with a little anise to remind you that you are drinking something much more exciting. Smoke and citrus nose. The lemon juice lightens the flavor and makes for a smoother taste than lime juice. The mescal adds smoke but otherwise fades into the background, letting the chartreuse and lemon shine, with hints of cherry. Overall a little drier. As a lover of Fernet, this twist on a Last Word is right up my alley. Coming form the folks at 15 Romolo, Fernetaboutit substitutes Fernet for Gin and makes for a delicious, yet oddly colored version. Mint and anise dominate the nose with just a hint of citrus pulling through. Surprisingly well balance. The Fernet comes through up front, then in come herbal, citrus and anise accents. Fernet oscillates through at the finish, at times tasting perfectly balanced, then fernet heavy, then back to balance. Really interesting taste. Spirit: There are so many other “base” spirits you could use as the base, Tequila, Peated Scotch, Genever, etc. Citrus: One easy way to switch things up is to swap out one citrus for another. Try a Last Word with lemon juice, a Final Ward with orange juice, etc. 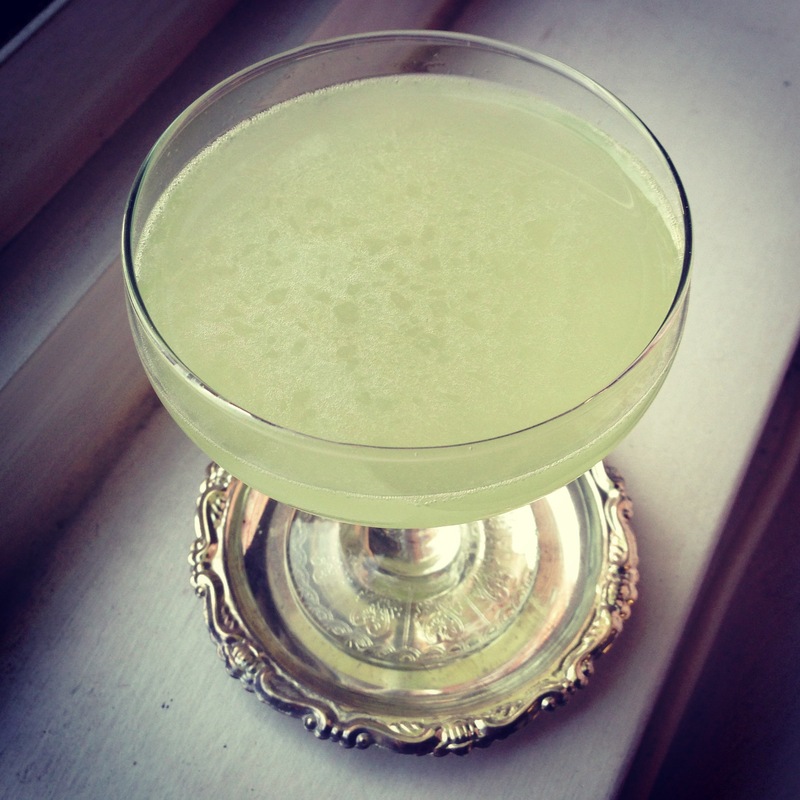 Sweet: Swap out Maraschino for St. Germain to through a little elderflower flavor into the drink. Domaine de Canton will add a spicy ginger kick. Herbal: Some folks like Yellow Chartreuse in place of green, making for a slightly sweeter honey flavor with less anise. Try Strega, an Italian herbal liqueur that tastes somewhere in betweeen green and yellow Chartreuse. By varying any or all these parameters, you can create a seemingly endless number of twists on this great classic cocktail. Very cool. The Last Word is a wonderful cocktail, but I’ve never even thought about variations. I’m super intrigued by the one with Fernet. Thanks for the post. Thanks. It really is a great cocktail in it’s own right, but variations with the Last Word are really easy. I really love it with Mezcal. Curious to see what you think of Fernetaboutit. Some very cool variations on one of my favorite prohibition era cocktails, the Last Word. Real interesting variations to try out !! I love this. Thanks for checking it out. You can do a lot with this one. I tried the Fernetaboutit a couple weeks ago and while I enjoyed it, I thought it was a completely different cocktail than the Last Word. But tonight I made the Mezcal Last Word with La Puritita Verda Mezcal and I loved it. This seemed like a Last Word but the Mezcal made it so interesting. I’ll definitely have this again. One of my favorite drinks and I loved your variation. Thanks for checking them out. The Mezcal Last Word is definitely one of my favorites. The added smoke flavor really jives well in this one. I also like to add some Bittermens Habanero Shrub or The Bitter End Thai Bitters to give it some spice as well. I agree about the Fernetaboutit. The strong flavor of Fernet really changes this one. Good but as you said quite different.